1′ 8″ h, 11" w, 10″ dia. 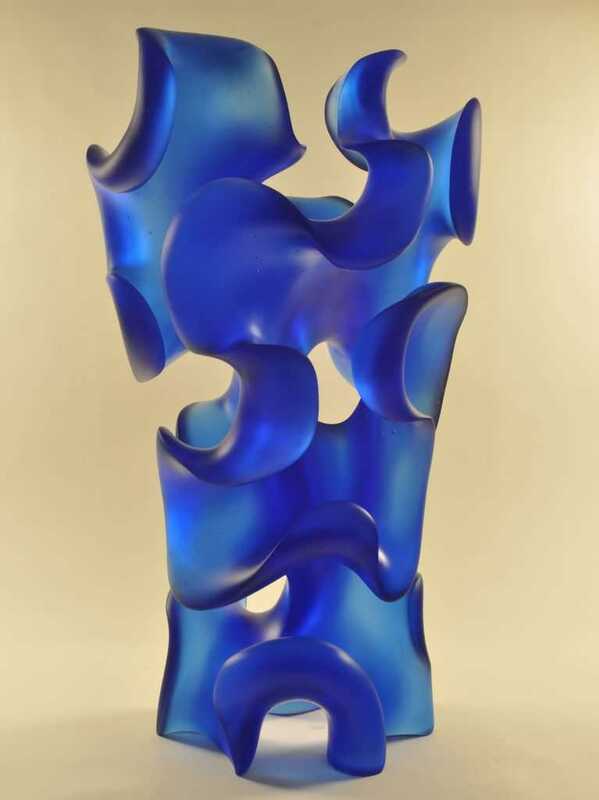 From an abandoned design in wood to glass sculpture. Many months ago, I was back rummaging around in my old wood pantry looking for something. 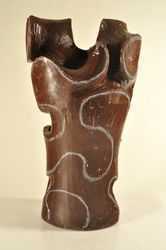 And I stumbled upon a long forgotten, unfinished wood sculpture that I only vaguely remembered. However, finding the form promising, I decided to have another go at it, only this time I converted the wood concept into a glass sculpture. A fuller explanation might help you understand why, at 99% completion, it didn’t make the final cut. (No pun intended). It was originally a small tree that began to split into two upper limbs, creating the “Y” shape. This would have been Morph XV, and I really liked where I was going with the design — with severe undercuts and penetrations. 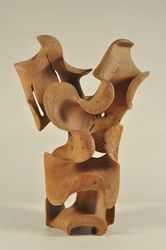 But the ultimate flow and balance just didn’t work for me because I had sculpted too far into it. So I abandoned the piece. 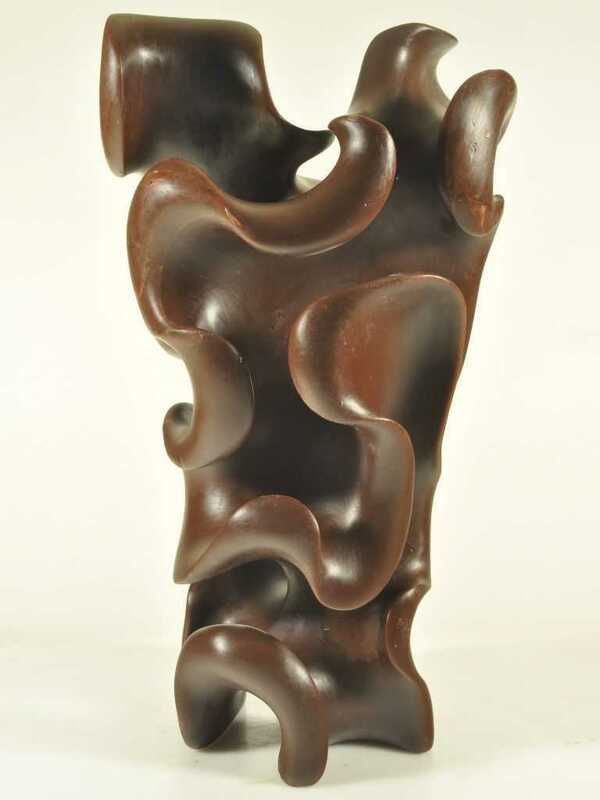 I have referred to “risk” many times in my wood art and glass sculptures. This was a classic example of the problem with “reduction art.” Once the material is removed, it is gone forever. 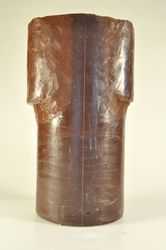 The original wood sculpture was Wormy Chestnut and, as photographed here, measured 1′-3″ high, 10″ wide, 6″ deep. 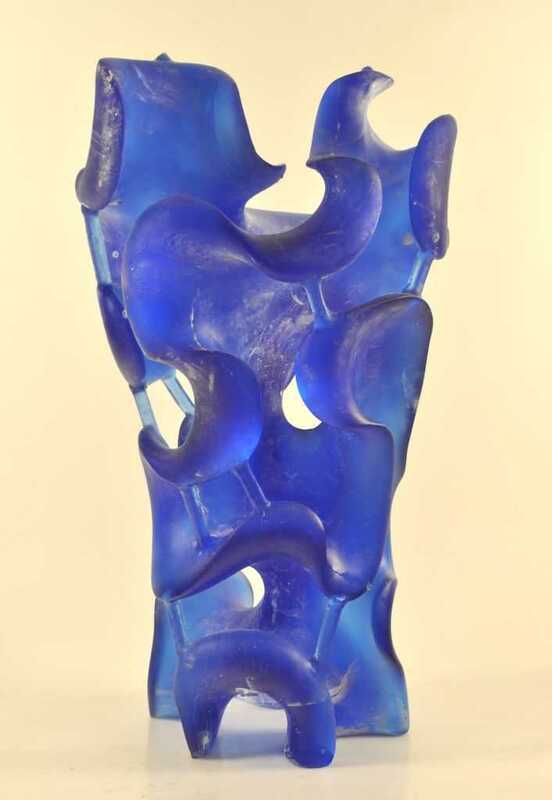 The blank wax form for the sculpture in glass started out as 1′-8″ h, 1′-0″ w, 10″ deep. POST SCRIPT: After three weeks at the foundry, the piece is no longer brown wax nor a kiln cast, cobalt blue form from the foundry. 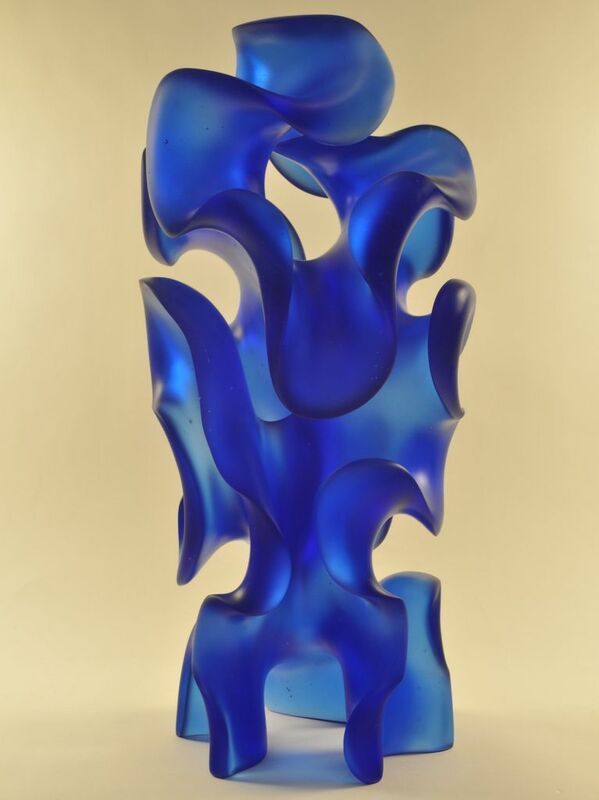 It is now my 28th glass sculpture and the first piece I cold worked & completed in the “Wet Room” of my new studio. COLD WORKING. Hand finishing my piece with diamond sandpaper and a fine spray of water. I built this “circulating water system.” Water in a bucket with submersible pump travels to a fine-spray nozzle and drains back to the bucket.